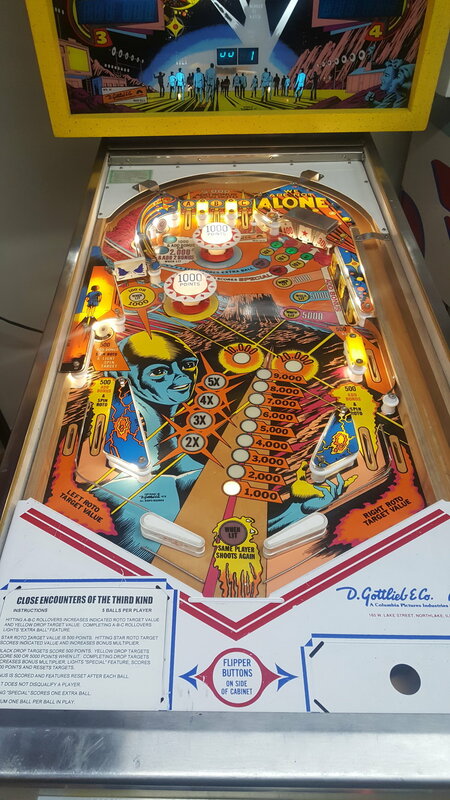 Fans of the Speilburg epic will love this pinball. 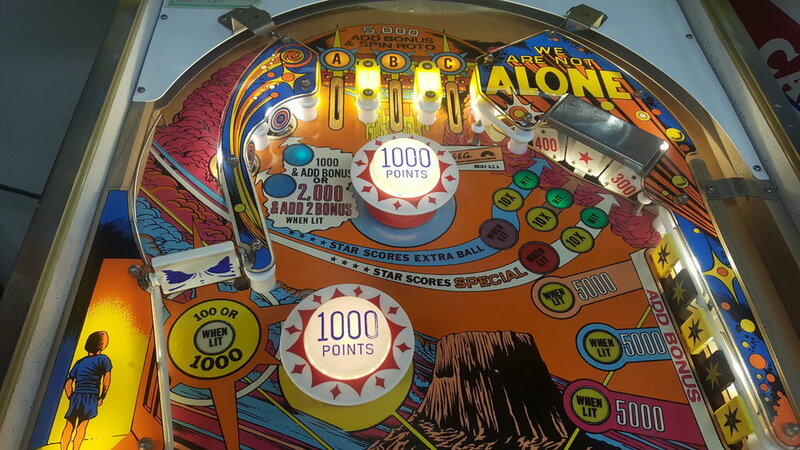 Theme details abound in cabinet and playfield artwork. Playfield has a vertical rotary target assembly in the upper left, open layout makes for game play unlike any other. The cabinet has been freshly touched up. LEDs have been installed throughout the playfield and the head. New rubbers all around and freshly polished playfield. All mechanics have been tested and verified. Brand new drop targets, thumper caps and freshly rebuilt thumpers.